The Bespoke TV Installation Service is suitable for all makes, models and sizes of flat screen televisions including LED, LCD, Plasma and 3D TV's. Our expert engineers will assess the wall construction type and provide the correct fixings ensuring a safe secure TV Mounting. AV Installs can fix a TV and conceal the cabling in almost any wall types including dot and dab, stud walls, cavity walls along with solid walls. Included in this service is a Hidden Cabling Solution so that all the TV cables running from the TV screen back to your auxiliary devices are concealed within the wall, this provides a slick cable and trunking free installation as though the TV floats on the wall like a picture. There are many solutions to hiding cables within in walls and dependant on the wall type AV Installs will provide the most appropriate solution, this service also includes any chase and repair work required to conceal the interconnecting cables. 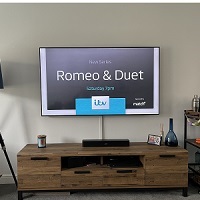 The Bespoke TV Wall Installation Service is a fixed priced service, subject to a complete telephone survey and a official written quotation which will be emailed along with our full terms and conditions. All bespoke installations come complete with a full Twelve Month Installation Warranty and a customer satisfaction sign off sheet. AV Installs is a Northamptonshire Trading Standards Approved Buy With Confidence Member and only uses its own engineers which are CRB checked. Suitable for all wall types. Complete TV set up & calibration. Specialist fixings for wall type. Set up of auxiliary devices. Fantastic service - from my initial call right the way through to completion I was provided with an expert and professional service. All work was carried out and completed to fantastic standards, all walls were made good to the extent that you would never know the cables were run behind it. I will be shortly asking Boyd to return to complete more installs for us and would have no hesitation in recommending his workmanship and services. AV installs sorted out our DIY disaster! We are so pleased with the finished result, the TV looks amazing on the wall and the cables are well hidden. They are committed in making sure that everything is done to perfection and they even came back over a year later when we needed him to look into a problem we had with our Freesat box and fixed it straight away. We will definitely use AV Installs again and have no problems in recommending him to our friends and family. Boyd went through the options thoroughly on the phone, we set a date and time he arrived to the minute and got cracking, the guy is a genius when it comes to setting things up and with no cables visible anywhere and 58\" TV to the mm in terms of location and how straight it was etc. I would highly recommend using these guys if you want your equipment installed by people who not only know what they are doing but also are personable and overall really nice guys, cant say much more really other than give them a call and discuss your needs and you will not regret what they offer! AV Installs provided a great service from start to finish. All we had to do was call them, explain what we wanted and they took care of the rest. This is the second time we have had hidden cabling installation done in a span of three years and the service levels as well as the quality of work were as brilliant as the first time. I would definitely recommend AV installs especially Boyd to friends and family and infact one of our friends had already called AV Installs out and was very happy with the service not to mention the competitive pricing offered. Thank you very much once again for the great work. Thank you AV Installs for a job well done. 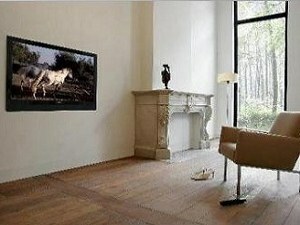 Our recessed 55\" TV, mounted sound bar and hidden cabling is fantastic. Boyd\'s suggestion for the glass shelving unit was perfect and although I was initially sceptical, he definitely knows what he is talking about! Customer service was excellent even coming back to help re connect everything once our decoration had been completed. We love our new snug - thank you Boyd & AV Installs. Hi there, I am writing to enquire about having our LCD TV (55") and Soundbar installed in our lounge hiding the cables so it looks super clean. We have some additional AV equipment (Sky box, DVD, Nintendo Wii, Media Centre, and Media NAS hdd) which also needs to be incorporated - maybe by a floating shelf. Can I send you a picture of the setup? And I can also share with you my initial ideas of what I had in mind too. Because the wall is a brick wall, it may need to have a kind of wooden offset frame or acrylic frame on to allow the cables to fall behind? I live in Norwich and am doing this for my parents as a Christmas present.